Don’t jump into a home purchase blindly. Do your research, learn about the area , get advice from others, and study all the available data. No more creative financing: buy properties with traditional 30- or 15-year fixed loans – and know what your mortgage payment will be each month for the entire mortgage term. Always put 20% down . Whatever the bank says you can afford, subtract 20%, and you’ll never be house poor. You’re not just buying a house, you’re buying a neighborhood . It’s harder to get a mortgage because qualifications are more stringent these days. Keep great financial records, and be patient throughout the process. Don’t expect the market to bail you out. That means no overpaying for a house you can’t really afford in hopes of market appreciation making up the difference. Less is more. A smaller, practical, easy-to-maintain house is the new, big, rambling mansion. Stay on top of your credit, and shoot for an excellent score (above 750). Plan to stay in your home at least 5 years. Think you’ll need to sell before then? Keep renting until you know you can stay put for a while. Budget for the ongoing costs of home ownership – not just the monthly mortgage payment. 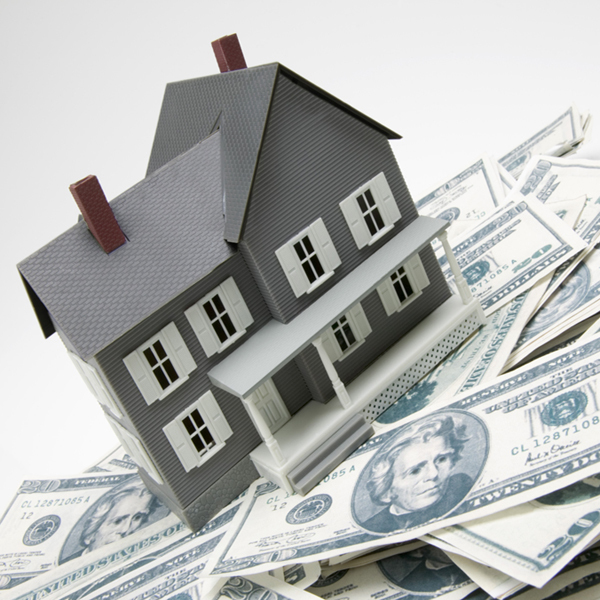 Be sure you have the funds for property taxes, insurance, maintenance, upkeep, and even an emergency repair fund. If you are questioning your job security and your ability to get a new job quickly in the event of a layoff – don’t buy yet. To a generation who saw risking everything and buying homes with zero down as the norm, these rules may seem new. But, as they say, everything that’s old eventually becomes new again. In this new era, Millennials simply need to look back to get ahead and buy safely, sanely, and securely in the current housing market . This article originally appeared on Trulia.com . Before a Realtor can begin to help you look for a home, you (and your spouse or partner) should develop a list of needs and wants. For some buyers, the home itself is of paramount importance: they want a particular style or size or a big yard. For others, the neighborhood is more important. If you have an unlimited budget you may be able to find the perfect home in a desirable neighborhood, but since most buyers need to meet a budget, you may have to compromise on either the house or the community. Next, think about what amenities you’d like to have nearby or whether you’d like to live in a rural area without neighbors. If you like to swim or golf or play soccer or your kids do, facilities for those sports should be on the list of things you look for in a neighborhood. On the other hand, you could be more focused on easy access to cultural amenities or nightlife. Think about whether you’d like to live in place where residents interact often or whether you prefer to have cordial but distant relationships with your neighbors. If you have children or are planning to have a family in the future, buying a home in a community with good schools is already likely to be a priority. Even if you don’t have children to educate, though, you should be aware that homes located in a good school district typically hold onto their value better than those in less highly regarded districts. In fact, Redfin real estate company completed a nationwide study in 2013 that shows that Americans pay $50 per square foot more for homes served by a top-ranked school than for homes served by an average-ranked school. The Fair Housing Act prevents Realtors from providing information directly to buyers about specific schools, but they can share links to websites that rate schools and to local school systems. A major consideration for most home buyers when it comes to choosing where to live is how they’ll get to the places they go regularly. In communities near or in a city, prime locations are typically close to public transit options. Many suburban communities are being designed around a “town center” concept so that residents can walk to restaurants, shops and entertainment and sometimes even to work. Homes that are located close to a subway station or to popular commuter routes are often more costly than those that require a longer commute to a city center, so ask your Realtor to show you areas that may have similar attributes but are less expensive. Alternatively, if living in a particular neighborhood is your number one priority, you may need to compromise in terms of the size home you buy or its condition. Home sales will likely see modest growth next year, says Lawrence Yun, chief economist at the National Association of REALTORS® . Strict underwriting practices by lenders, rising interest rates, and tight inventories in many markets will moderate sales growth. NAR has predicted home sales of about 5.12 million for 2014, which is close to the same level forecasted for 2013. Meanwhile, inventory levels are expected to see some improvement in 2014. In September, they rose 1.8 percent compared to a year earlier, according to NAR data. That marked the first increase in inventory levels since late 2011. Still, expect 2014 to continue to be a seller’s market while inventory levels remain tight, analysts say. Fewer distressed homes on the market also will likely mean investors will take a step back, leaving more room for home buyers to step in. Investors’ share of residential home purchases dropped from 23 percent earlier this year to 17 percent in September, according to the Campbell/Inside Mortgage Finance HousingPulse Tracking survey. But buyers will likely be greeted by higher mortgage rates. The 30-year fixed-rate mortgage is expected to increase from a 4.5 percent average to more than 5 percent in the new year. Also, buyers will still face tight underwriting standards. While real estate professionals are reporting that qualifying for a loan is getting easier, the speed of processing the loan has not improved. Virginia real estate professional Rob Wittman told Money Magazine that buyers might want to consider using local lenders with ties to nearby appraisers for faster closings. And sellers shouldn’t underestimate buyers in the new year, either. “Buyers are smart these days — they know where the market is and know that rates are higher. They aren’t going to bite on a list price above recent comparables,” says Sara Fischer, an agent with San Diego-based Redfin. Still, buyers shopping for a home in winter may find sellers more amenable to striking a good deal. Particularly during the holidays, sellers can be highly motivated to sell before the end of the year, says Tim Deihl, associate broker at Gibson Sotheby’s International Realty in Boston. Buyers may be able to take advantage of that sellers’ urgency. “A seller who’s looking to move a piece of real estate during the holidays is a seller who needs to sell, because nobody in their right mind would pick that as the most convenient time to list their property,” Deihl says. Competing Against a Cash Buyer? Points are up-front fees paid by the borrower to obtain a better interest rate on a loan. One point equals one percent of the loan amount. And while a lower interest rate may result in a lower monthly payment, it is important to consider how long you intend to be in the loan and to compare current interest rates to historical market trends. This will help you to determine whether paying points is a worthwhile investment.Let’s look at a sample scenario. If you take out a $300,000 mortgage and decide to pay one point in order to lower your interest rate, this would translate into an up-front cost of $3,000. To keep things simple, we’ll assume that paying this one point will save you $50 a month. This means it will take you 60 months to recoup the cost of that point. If you decide to refinance or sell the home before the 60-month mark, your money is lost ñ not to mention the opportunity cost of not having this money invested elsewhere. In this scenario, you would only benefit financially from paying points if you were to remain in that mortgage for no less than 60 months.It’s also important to remember that interest rates run in cycles. When rates are at historical lows, it makes more sense to pay points if you plan to stay in that mortgage for an extended period of time. If it’s unlikely that rates will go down in the near future, then there will be no need to refinance. Tax deductibility is another thing to consider when choosing whether or not to pay points. For new purchases, interest from both points paid and your mortgage are tax deductible up front. For refinances, however, points are not deductible up front. Instead the deductions are spread out over the term of the loan (unless the entire loan is paid off early), making points more costly in comparison. 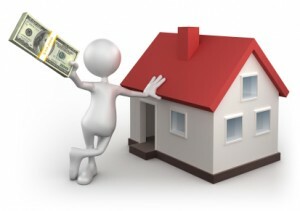 There is an exemption if savings from the refinance was used to improve the home. Ultimately, there’s a lot to consider when it comes to points and whether or not they are a worthwhile investment. An experienced mortgage professional will work with you to determine the best course of action based upon your specific situation. Request a comprehensive cost comparison to see whether paying points could be financially beneficial to you. Residential sales volume in three metropolitan areas in Northern Colorado has exceeded $1.5 billion year-to-date, according to data from Information and Real Estate Services. From January to October 2013, more than $1.56 billion in residential real estate has changed hands, a 26 percent increase from the $1.23 billion sold at this point in 2012. In individual markets, the largest increase was seen in the Greeley market, which saw a 46.5 percent increase from $174 million to $255 million. Sales volumes in Loveland increased by 25.9 percent and in Fort Collins by 21 percent. Residential sales in Northern Colorado have increased significantly in 2013, with more homes selling at higher dollar amounts. Homes are also on the market for shorter periods of time, with the average number of days on market decreasing from 106 to 86 year-over-year across the region. Changes in median sales price in October were less dramatic than previous months, with the price in Greeley staying flat at $165,000. In Fort Collins, the median home price increased by 4.5 percent to $256,000. Loveland saw the greatest price increase, by 10.9 percent to $260,000. I love working with Buyers and they love working with me! Internet growth in home buying is growing, but buyers who use the Internet are more likely to say they need a real estate agent, according to the National Association of REALTORS®’ 2013 Profile of Home Buyers and Sellers survey. In fact, the highest share of buyers in the survey’s history — 92 percent — reported using the Internet to search for a home to buy. Forty-two percent of buyers reported starting their home search by looking for properties online, while 17 percent said their first step was to contact a real estate agent. The Internet is helping buyers to find the home they ultimately purchase too. Forty-three percent of buyers said they found the home they purchased online, up from 8 percent in 2001. Despite home buyers increasingly relying on the Internet for their home search, the overwhelming majority turns to a real estate agent for extra help. Eighty-eight percent of buyers said they purchased their home through a real estate agent. Among those who used the Internet to search for homes, that share grew higher — up to 90 percent, according to the NAR survey. Buyers ranked the following services highest that agents’ can provide them in their search: finding the right property, helping to negotiating terms of the sale and price negotiations, identifying comparable properties, and assisting with paperwork. Mortgage giants Fannie Mae and Freddie Mac will continue to fund higher-priced mortgages at current limits at least through the middle of next year, federal regulators announced. In 2008, government-backed mortgage limits were increased from $417,000 to up to $729,750 in some high-cost areas. In 2011, limits were reduced to $625,500 in high-cost areas, but FHA’s limits remain at $729,750. The limits were scheduled to decrease at the end of this year. The housing industry has been lobbying against any drop in the loan limits, concerned it could hamper the housing recovery. The National Association of REALTORS®, along with other housing industry associations, recently wrote to Congress, urging the FHFA to delay reducing the loan limits. DeMarco said that FHFA would provide at least a six-month warning of any changes to the limits in the future.